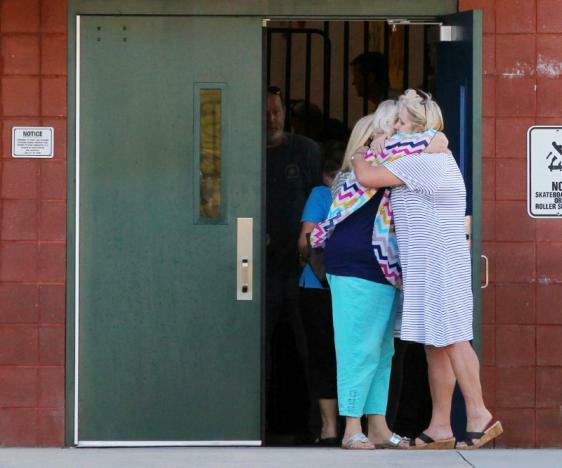 A 14-year-old South Carolina boy shot and killed his father then drove to an elementary school playground where he shot and wounded two children and a teacher with a handgun before being tackled by a firefighter who held him till the police arrived, authorities said on Wednesday. The suspect, whose name has not been released, was accused by police of fatally shooting his 47-year-old father, Jeffrey DeWitt Osborne, then driving a pickup truck about 2 miles (3.2 km) to Townville Elementary School where he crashed into a fence surrounding the playground. 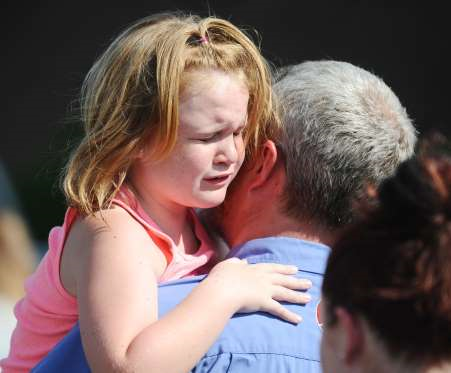 After the teenager began shooting, volunteer firefighter Jamie Brock pinned him down while staff led children to safety inside the building, Anderson County emergency services director Taylor Jones told a news conference. brock has been credited for saving the lives of everyone by tackling the suspect on time. "(He) was there in the hot scene and risked his life to mitigate this incident," Jones said. "He just used enough force to take him to the ground." Police arrived within seven minutes of a teacher calling 911 to take the suspect into custody at the school in Anderson County, near the Georgia state line about 100 miles (160 km) northeast of Atlanta. 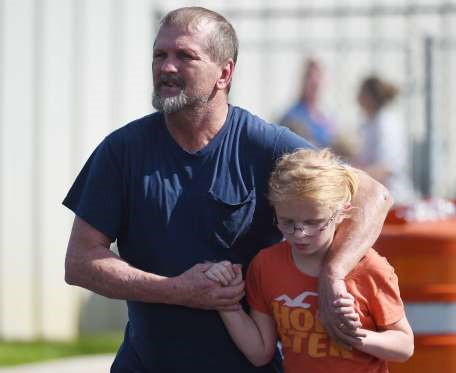 The shooter never entered the building, said Chief Deputy Keith Smith. One of the victims, a 6 year old boy who was shot in the leg, remained in critical condition. The other boy and a female teacher were treated and released, said Ross Norton, a spokesman for AnMed Health Medical Center. His grandmother said the suspect was home-schooled and that he had called he had called her while he cried but didn't understand what he was saying, so she went to visit her son, Osborne where she found him dead from a gunshot wound. "She could not make out what he was saying because he was crying and upset and so they went to the house ... and that's when she discovered her son and called 911," coroner Greg Shore told a news conference on Wednesday night. Immediately after the shooting, armed officers guarded students as they were evacuated from the school and taken by bus to a nearby church, local media said. 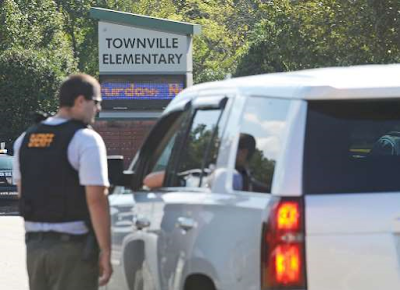 Television images showed police swarming the school, with some officers on the roof while others moved around the building. Guy u get strength u hear!